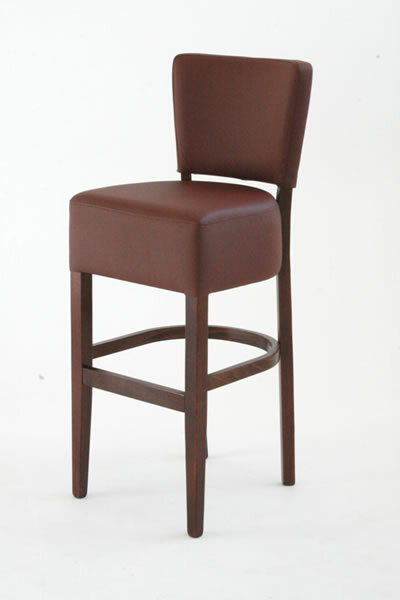 Fully upholstered in faux leather barstool. Available in Cream, Brown and Black upholstery. Beautifully double stitched. Barstool legs are fitted with nylon glides. Underside finished with matching base cloth.